Welcome to parenthood. Please take a seat in the waiting room. Your baby will be with you, eventually. Clock watching. Watching and waiting. For the right moments. The right time of your life. For the right person. For the right time of the month. You develop an intimate relationship with time creating a life. And the rewards and the heartache begins long before that moment on the screen. On the TV screen when babies are lifted wailing from their mothers. First comes the small screen of a little white stick that you stare at again and again waiting for that moment of confirmation that something has changed. Then weeks pass in a state of secret hope and fear. Until you go and see a bigger screen and there they are; a tiny smudge of possibility. A tiny heartbeat. Your heart skips a beat. Theirs is constant and determined. So you tell the world of those who made you, and the friends who’ve been there and those who haven’t and those who you worry about telling. And then you wait. Days become weeks and the heartbeat measures them in beats per minute. And the minutes drag by in the small hours as you both lie in bed looking for good omens. Back and forth to work, lunchtime phonecalls and morning sickness as you brush your teeth and make the toast. After 20 weeks you meet your lodger again and they need a bigger room. So your other half builds an extension to themselves and wonders who they are and where their feet have gone. And you wait while others ask the questions you never understood when you asked them. But now you know why they are so hard to answer. When will they arrive? What will you call them? How do you feel? I have no idea how we feel so fall back on empty phrases. Excited and nervous. Yeah and then some. The light fades, the leaves fall, the snow never comes. You paint a room. She finds herself crying over tiny clothes. You wander around shop floors that used to be stops on the way to the cafe. The house fills with things that wait for a purpose. 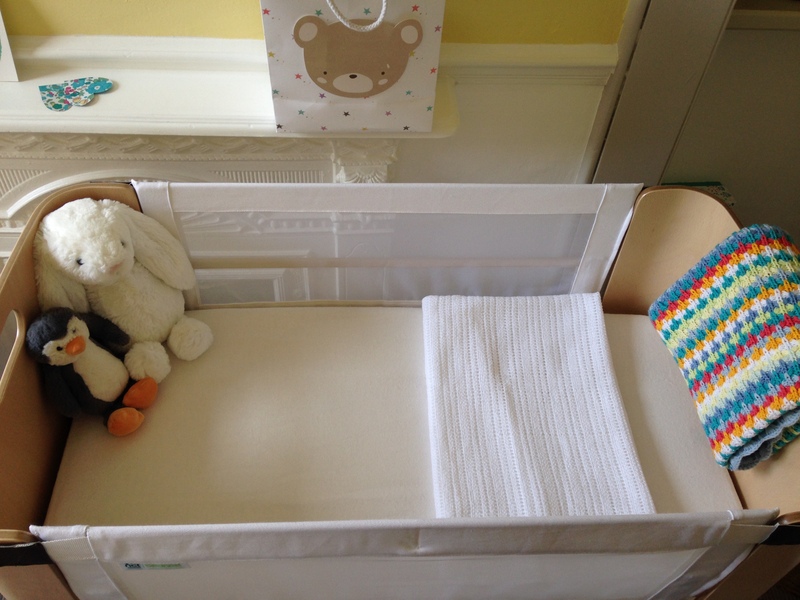 The cot and buggy look empty so you fill them with toys. Christmas feels like one inbetween and you talk about when you were small. Your parents look different now. You wonder if they felt like you do, but you hesitate to ask. Months pass with the pages of the books and you stare at each other and wonder if it’s all a dream. You got to the pubs you spent so many hours in but only one of you gets drunk. It’s not as much fun. You watch the 6pm crowd and see your future. Time stands still. You’re inbetween days now, talking about the future but unable to see beyond the date on the calendar when everything changes. And then time is up. A bit sooner than expected. Because the doctors are worried. So she’s gone into hospital. And this isn’t what you talked about in class. This isn’t the exam you’ve studied for. You’re going to have to wing it. But the waiting isnt over. Waiting for our new lives to begin.